Like the National Restaurant Association show, The Takeout approached Sweets & Snacks Expo with 90 percent excitement and 10 percent trepidation. Excitement because—come on!—free samples for miles of the latest candies, chocolates, chips, meat snacks. Trepidation because diabetes. And yet! 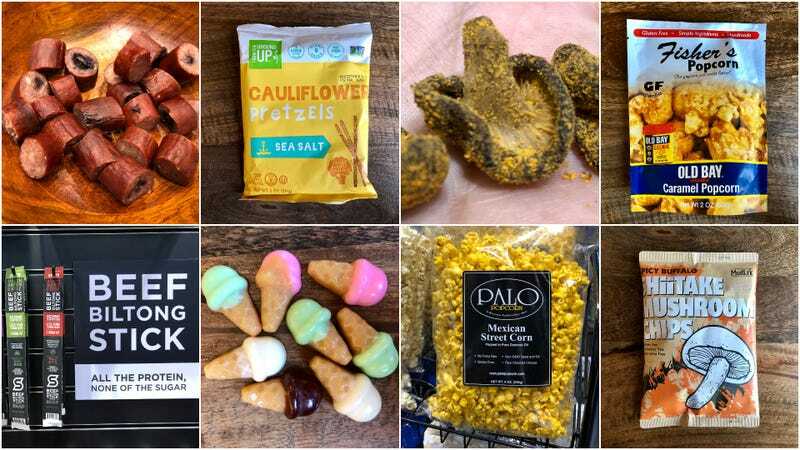 We soldiered on, for you, dear Takeout reader, and returned with what we thought were the most interesting finds from the snacks show. And there was interesting aplenty. Counterpoint from Kevin: I found these really, really tasty!